First class is completely free if you Register! We are a small but extremely passionate team of dancers and teachers who want to share our passion with the world. Dancing with the feet is one thing, but dancing with the heart is another. Read what our students have to say about us. Agnieszka has been trained in various dance forms like Zouk Lambada, Bachata Sensual, Swing and has been a teacher for last 4 years. I am the latest member of the family, yet I am extremely committed and very passionate about dancing and constant learning. When you can share emotions music gives you, that's where magic happens. Dancing would be the passion which gives me this freedom. Thanks to dancing, I met amazing people and found something that I'm passionate about, and I'll never have enough of it. My two greatest passions are dancing and thai boxing. Little, I was too shy to dance in public... now when I hear music, "I just can't control my feet"! I let my heart speak through dancing. Ever since a child, I've dreamt to being able to dance. It's where I open my soul!! 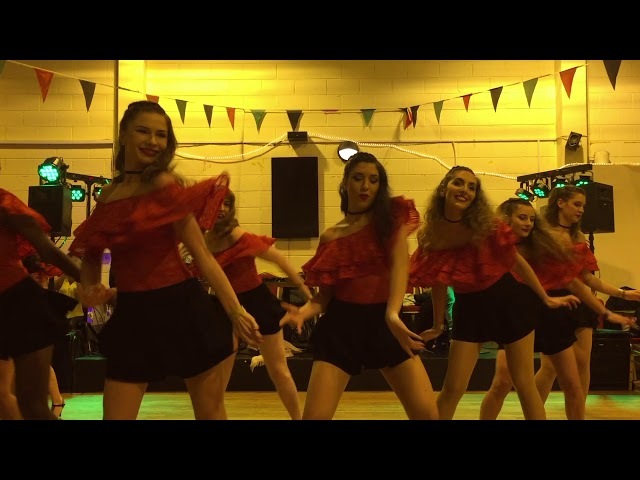 Moksha students performing Bachata sensual choreography at the AfroLatin Festival in Cork.